that vacuums, steam cleans and dries. Even more powerful, even more effective. Unico is a powerful multifunction vacuum cleaner that combines multi-cyclonic suction technology with the hygienic power of steam. 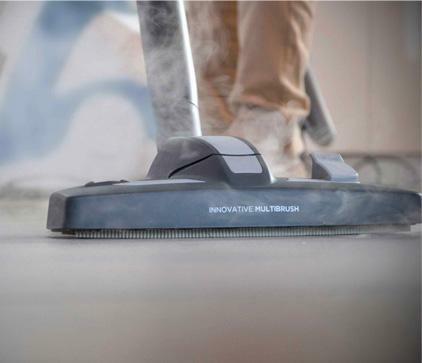 A single multitasking appliance that vacuums, steam cleans and dries every surface in the house: floors, carpets, sofas and cushions, mattresses, mirrors and windows, bathroom fixtures and hobs. 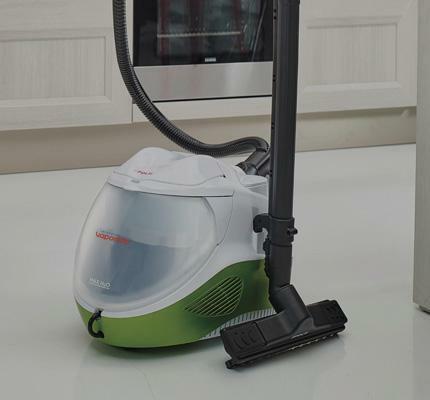 Designed for daily cleaning, use it as a vacuum cleaner every day, and as a steam cleaner when you want to wash and steam clean the entire house. Cleaner air in your home and goodbye to dust with multi-cyclonic suction. Unico includes a central cyclone and several lateral cyclones that generate a powerful centrifugal force able to effectively separate dust from the air. In the first filtration stage, a large part of the dust and dirt remains trapped in the dirt collector, but the subsequent stages, in particular the HEPA filter, trap the smallest and finest particles, such as dust mites and pollen. The result is cleaner healthier air, and this is why Unico is a vacuum cleaner that is particularly suitable for allergy sufferers. With steam, it's possible to clean and steam clean without detergents. Washes, degreases and steam cleans surfaces naturally and thoroughly - Unico is also a powerful steam cleaner. The high temperature and pressure steam, generated by the boiler, dissolves dirt and eliminates up to 99.99% of germs, bacteria* and viruses without the need to use detergents that are harmful to the environment. With a simple movement steam delivery is activated, offering its extraordinary cleaning power for all washable surfaces, even the most delicate. Used together with the vacuum, either manually or using the pre-set programs, Unico removes the moisture left by the steam and surfaces dry faster, reducing the time required for housework. 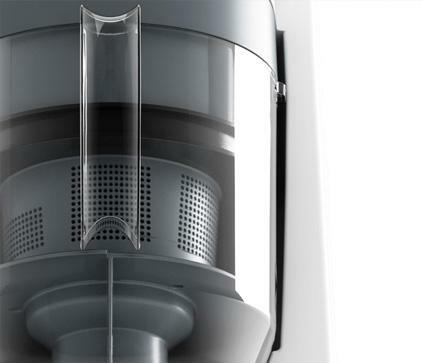 Faster cleaning thanks to details that make the difference. 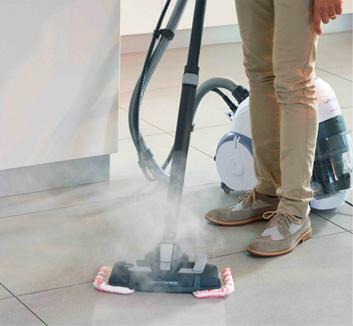 Easy to use and practical: Unico is the ideal partner in the daily fight against dust and dirt. 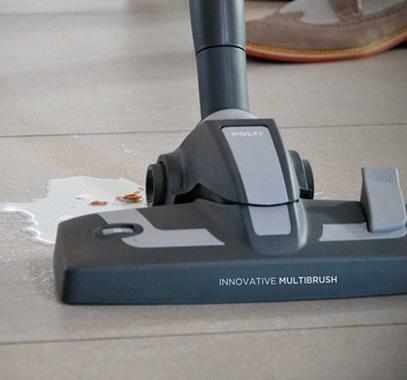 The exclusive universal floor brush changes position with just a simple click, based on the function selected and the surface to be cleaned. 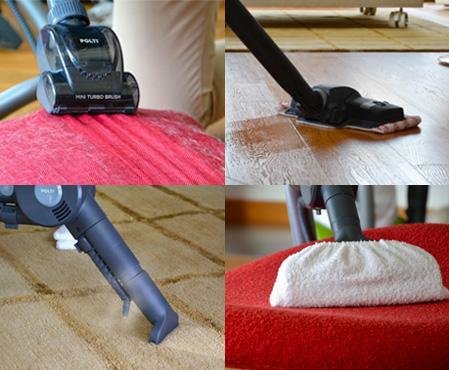 Do you need to vacuum your rug or steam clean your parquet and tiles? Choose position A on the brush. Or do you want to steam clean and dry your tiles? Choose B. Or select C if you want to vacuum hard floors or delicate ones like parquet. With just one brush cleaning becomes faster, because it's no longer necessary to keep changing accessories. The vertical handle means Unico can be moved easily in any direction and without bending down. You don't even need to worry about vacuum bags, because Unico is bagless and the dirt collector empties quickly and is easy to clean. Today, everyday housework is even simpler. Unico was designed to help with everyday cleaning: 5 days a week you use it as a vacuum cleaner to clean floors and eliminate dust from furniture, and once a week as a steam cleaner to deep clean floors, carpets, sofas, mirrors, bathroom and mattresses. The perfect combination of daily cleaning and deep cleaning. The dry function and steam function can be managed using the pre-set cleaning programs that automatically regulate steam delivery and drying time, for excellent results in a flash. 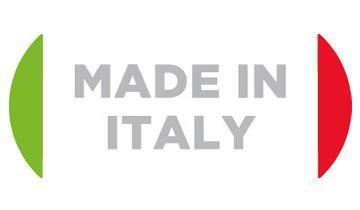 Made in Italy: quality and design. Unico is a product designed and manufactured in Italy, assembled in the production site at Bulgarograsso in Como province. 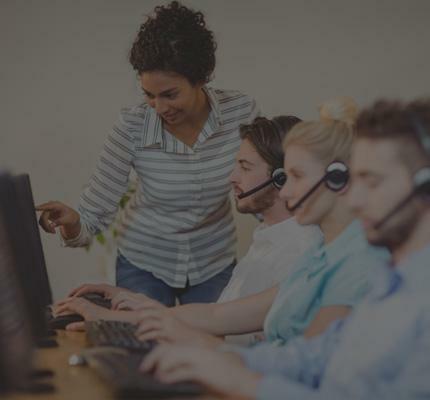 In this plant, all the production processes are subject to careful monitoring and control and guarantee a high quality product. Unico is the result of Italian experience and know-how, always synonymous with excellence. Read all the different ways we can use steam to get our home clean, chemical-free.